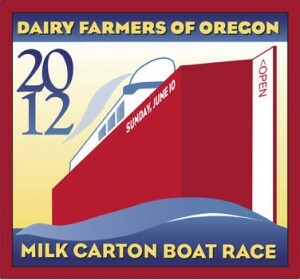 Milk Carton Boat Race 2012 – Registration is Open! 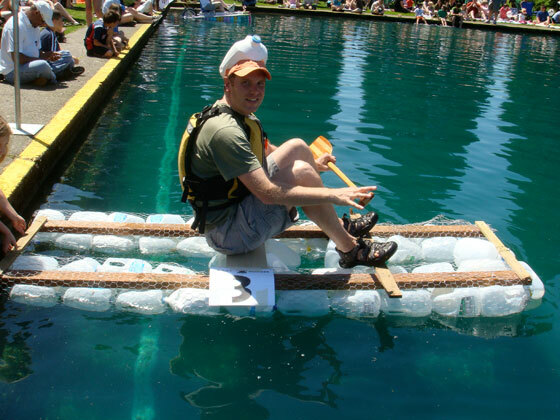 The only Rose Festival affiliated event I care about returns in 2012: the Milk Carton Boat Race! Race day is Sunday, June 10 (11am), at the Westmoreland Park casting pond. After a seven year hiatus the race I obsessed about as a kid returned in 2009. Check out my 2009 and 2010 reviews. The basics for spectators: Bring a blanket (or lawn chairs) and a picnic lunch and enjoy the spectacle! There are four classes of racing boats: children, adults, family/multi-rider, and corporate. Read the Race Information and Rules (pdf) for all the details and visit the event website. Follow @MilkCartonBoat on Twitter for the latest news. Friend of the blog Mike Vogel has raced the last two years.